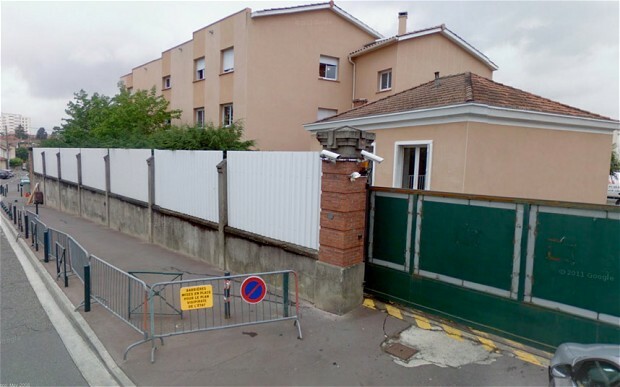 JEWISH SCHOOL IN TOULOUSE TARGETED BY A MUSLIM TERRORIST, TARGETED THIS TIME BY HATE MAIL……… – The Tundra Tabloids……. The saga of Jew hatred continues. The French Jewish school where a gunman killed three children and a teacher this month has been receiving hate mail since the attack. French authorities said Wednesday they had launched an investigation to determine the source of the threatening mail, after receiving complaints from administrators at the school in the southern city of Toulouse. The school attack and shootings that also killed three French soldiers in the Toulouse region earlier this month were carried out by Mohamed Merah, a Frenchman of Algerian origin who authorities say claimed to have ties to al-Qaida. He died in a gunbattle with police. In another incident, teenagers reciting anti-Semitic slogans beat a 12-year-old Jewish boy outside his school in Paris on Monday. The boy’s school and the school where the Toulouse attack occurred are both part of the Ozar Hatorah network of Jewish schools. France is home to at least a half-million Jews, who represent Europe’s largest Jewish community. The country has been sensitive to the plight of Jews since the World War Two-era roundup and deportations of Jews from occupied France to Nazi camps. On Tuesday, a ceremony in the Paris suburb of Drancy marked the 70th anniversary of the start of the deportations from the region to the Auschwitz concentration camps. More than 1,100 Jews were deported. Only 19 survived. Previous Post Previous Post U.S. POLITICS: THE TUNDRA TABLOIDS FULLY SUPPORTS CHRIS MITCHUM’S RUN FOR CONGRESS……..
Next Post Next Post UK: INVESTIGATION REVEALS 5 YEAR OLD SUBJECTED TO FORCED MARRIAGE……..